Urban Resources Initiative is a university not-for-profit partnership actively engaged in community forestry activities throughout New Haven. Urban Resources Initiative (URI) is a both program of the Hixon Center of Urban Ecology at the Yale School of Forestry and Environmental Studies as well as a nonprofit guided by a local board of directors. The strength of this partnership is the connection of the expertise of the University and the board members whose diverse interests represent all corners of New Haven. Together we are creating field opportunities for Yale students to learn while simultaneously giving back to the community. Founder Bill Burch describes this as a ‘mutual pathway of learning’ where community members and Yale student interns learn from each other and together improve the environment. Our mission is to foster community-based land stewardship, promote environmental education, advance the practice of urban forestry, and provide Yale students with clinical learning opportunities. We are dedicated to community participation in urban ecosystem management. Local residents, whose daily actions influence the health and quality of urban ecosystems, must play a central role in policy design and management for these ecosystems. Conservation efforts, especially in urban areas where people represent a significant element of the ecosystem, must emphasize social revitalization alongside environmental restoration. Our approach therefore stresses the integration of the biophysical and social sciences. URI works with local New Haven community groups and residents to replant, restore, and reclaim the urban environment. We seek out environmental problems and turn their rehabilitation into opportunities for the social and physical renewal of our community and environment. Urban Resources Initiative began in Baltimore in 1989. At the invitation of Baltimore’s Director of Parks and Recreation, Yale Forestry and Environmental Studies (F&ES) Professor William Burch sent Yale students to Baltimore to apply the principles of social forestry to the education of teenagers and the development of neighborhood forestry groups. Social forestry – originally designed for rural areas of developing countries – uses community participation and human resources to restore damaged ecosystems. Sustainability of projects is encouraged through local control and management. The techniques developed in the Baltimore URI were readily adopted in New Haven. 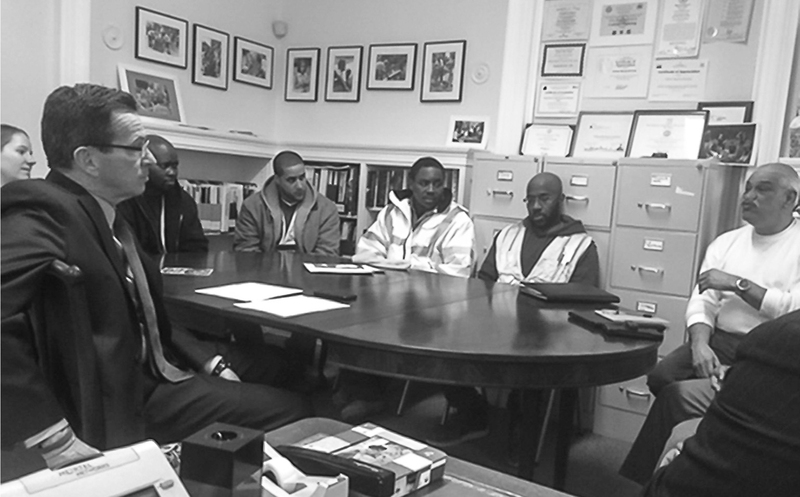 As the New Haven program developed its own agenda, an Advisory Board formally incorporated as New Haven URI in 1991. Its continued, close partnership with Yale brings the expertise of faculty and graduate students to the local community while offering graduate student interns the opportunity for practical field training.